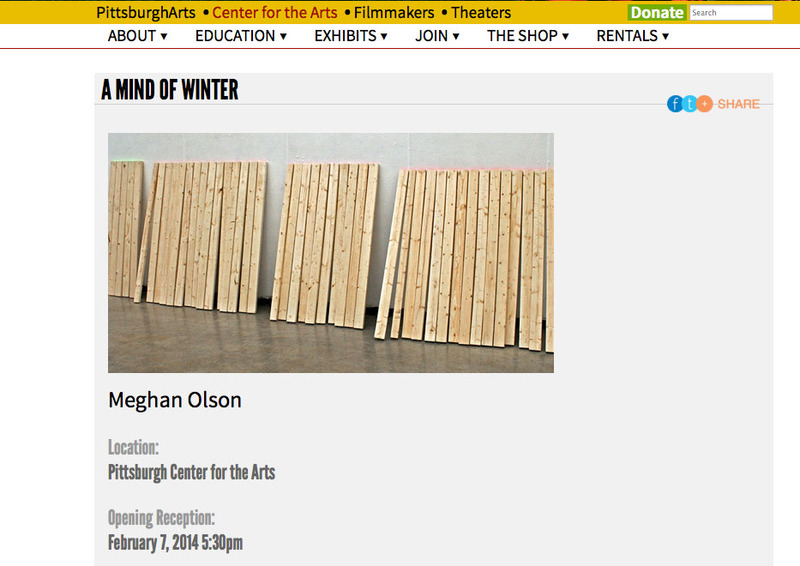 Current WVU Printmaking MFA student Meghan Olson is having a solo exhibition at the Pittsburgh Center for the Arts. It is titled “Mind of Winter” and will run from Feb. 07 to April 20 2014. The opening reception is on Feb. 07 at 5.30pm.